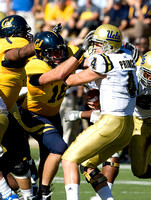 Cal Football Blog will take a look at Worst and Best Case Scenario for our Cal Football team this 2011 season. Take a look at our schedule when you can. With so many new faces, new leaders, and new coaches there are many possibilities for Cal Football. However, many sports analyst project Cal at second or third to last in the Pac-12 North because of a lack of returning stars for Cal while coming off Jeff Tedford’s first losing season in 9 years. No hype and no expectations. Maybe that’s a good thing for Cal. 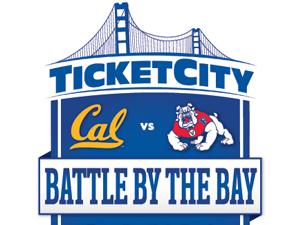 Fresno State thinks they can beat Cal because they have “heart”. However, they can’t compensate for that fact that Cal is much more athletic and powerful. Cal’s defensive line overpowers Fresno State, as both Ernest Owusu and Trevor Guyton are able to trouble QB Derek Carr and stop the run on every down. Zach Maynard comes out a little shaky, but Cal’s running game are able to open up Maynard’s passing game. Final score Cal 38-7. “Isi did a great job today and our defense was stellar,” says Tedford. 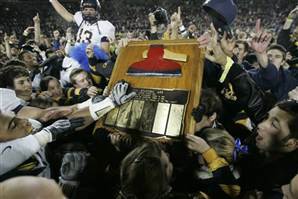 Even though Cal is playing at Boulder this year, the results are no different from 2010. Cal’s offensive line is stout and doesn’t miss a step as they are able to open up holes for Isi and Covaughn all game. Once again, the Cal’s defense is pressuring the quarterback every down, but this time it is coming from the outside linebackers David Wilkerson and Chris McCain. Even when Colorado stops the Cal’s offense, Bryan Anger is able to bomb his punts through the thin Colorado air behind the Buff’s 15 yard line every single time. Final score, Cal 45-10. “We just couldn’t get any momentum going today and Cal’s defense never let up,” said Colorado head coach Jon Embree. This game goes down in history as one of the most lopsided games of all-time. Cal’s offense are just lights out with Maynard throwing three touchdowns and Isi running in for two in the first quarter. In the last three quarters, the second and three string players dominate the Blue Hose. Even Austin Hinder comes into the game to throw a touchdown. On defense, Moala injures every single offensive linemen after running all over them, and gets on ESPN after he breaks away from a triple team as he sacks the quarterback and forces a fumble, which J.P. Hurrell recovers and takes it in for a touchdown. Final score, 83-0. “Well that was embarrassing,” says Presbyterian head coach Harold Nichols. Both Cal and the Washington go into the game with a lot of energy and poise. The game is very close all game because both defenses are playing very well and only having a few slip ups. However, late in the game Maynard throws a game changing interception allowing the Huskies to gain possession in the very last moments of the game. With only 3 minutes left and the game tied at 17-17, QB Keith Price is able to connect with WR Jermaine Kearse on a post route for a touchdown. Cal’s offense tries to come back in the waning moments of the game, but is forced off the field as the Husky defense is able to stop the Cal offense on a fourth down play. Final score, 24-17 Washington. “It was a tough game for our offense. There was a lot of pressure on Zach all game.” says Tedford. Autzen Stadium is loud and obnoxious as fans jeer and throw trash at the Cal players as they run out the tunnel. Immediately into the game, Oregon comes out with their octane offense and catches Cal’s defense on their heels, forcing Cal into an early deficit. However, Maynard is able to connect multiple times with Keenan Allen and Marvin Jones for large gains and setting up easy plays for Isi to run into the endzone. At the beginning of the fourth quarter, the score is 24-13. However, both teams are deadlocked most of the quarter. With two minutes left, Cal is able to muscle in a touchdown from Covaughn Deboskie-Johnson as he is able to shed a few tackles to reach the endzone. However, Cal’s defense can’t produce a three and out on the Oregon offense, as they are able to milk the clock and end the game. Final score, 24-20 Oregon. “They got really close, but we were able to stick it through and win it, ” says Oregon head coach Chip Kelly. After two consecutive losses, Cal is fed up and is hungry for a win. With the Trojans in town, the Cal fans are extremely hyped up and keeps AT&T Park loud all game. However, Cal is down early as Matt Barkley is able to connect with Robert Woods on a couple touchdowns. Cal continues to fight and scrap everything they can to keep hopes of a comeback possible. In the third quarter, Cal comes roaring out as Maynard is able to connect with multiple receivers on huge yards and creating a multiple touchdown opportunities in the redzone. 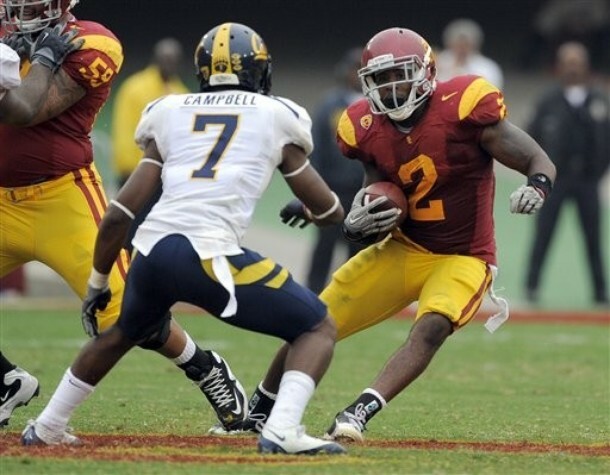 By the fourth quarter, Cal is able to tie with USC at 21-21. The fourth quarter is all Cal, as the Cal defense sack Barkley three times while on the offense Isi is able to breakout for a 60 yard touchdown. Near the end of the game, Marvin Jones returns a punt for a touchdown from his own 30 yard line to seal the game for the Golden Bears. Final score, 35-24 Cal. “I can’t believe we finally beat USC,” says every Cal fan. 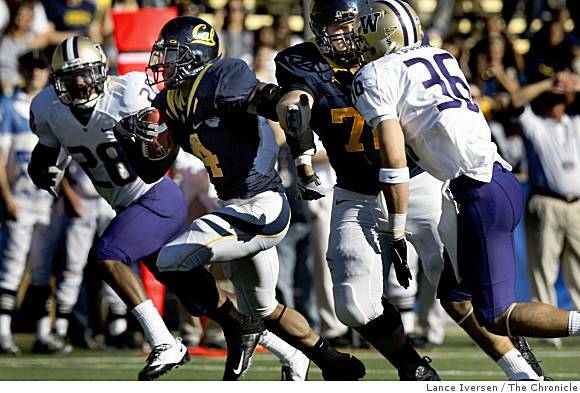 A few Cal players still remember their loss to Utah during the Poinsettia Bowl back in 2009, and they are out for revenge. 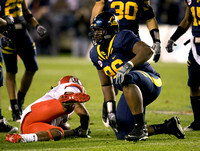 The entire game is dominated by Cal as the Cal defense picks apart QB Jordan Wynn. 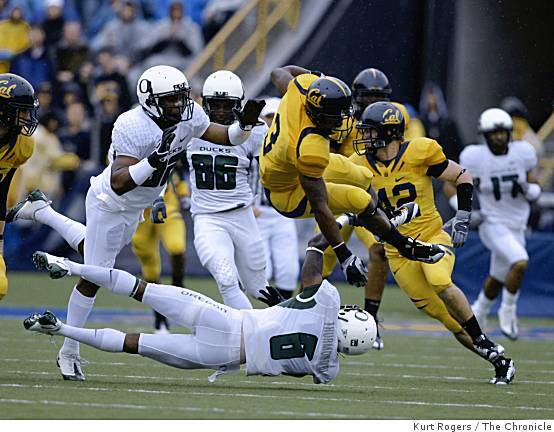 Cal’s secondary records 4 sacks and 4 interceptions, with two of them coming from CB Steve Williams. Utah’s defense has no answer to the unstoppable Maynard-Allen connection as Maynard is able to complete 8 completions to Allen and two touchdown passes. The offensive line never breaks apart and allows ample time for Maynard to throw on every passing play. Final score 45-14 Cal. “My arm was just feeling great today. I felt like I could do no wrong,” says QB Zach Maynard. The Bruins are still shaky at the quarterback position and UCLA head coach Rick Neuheisel has the program going nowhere. Cal comes out very strong in the first half as the defense pressure QB Kevin Prince on almost every down, forcing him to make errant passes leading to multiple interceptions by the Cal secondary. Late in the second quarter, Marvin Jones takes a punt return for 70 yards after multiple crushing blocks from the Cal special teams. In the third quarter, the Cal running game picks up even more momentum as Isi, Covaughn, and C.J. Anderson are able to blow by the Bruin defense for long yardage on the ground. By the fourth quarter, the score is 45-10 Cal, and Tedford decides to bring in the second teams. 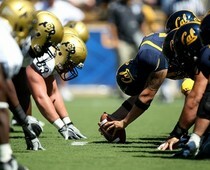 Final Score, 52-13 Cal, and the Bears become bowl eligible. “We are very excited to be bowl eligible again, but we are still looking to win the Pac-12 North,” says Jeff Tedford. Once again, the Cougars are on track to have another losing season and head coach Paul Wulff is looking more likely to get fired. This game is all Zach Maynard as he has a career day going for 300 yards passing as he is able to connect to over 6 different receivers in the first half alone and going for 80 yards on the ground. The Cougars have no answer to the athleticism of Keenan Allen, as he is able to run past his defenders and even double teams. CB Steve Williams is able to shut down WR Marquess Wilson while the defensive line and the outside linebackers continuously pressure Jeff Tuel out of his comfort zone. During the middle of the third quarter, Washington State gives up and brings in their second team. Final score, 48-3 Cal. “I have to give all the credit to my O-line for giving me all day to find my receivers and giving me ample opportunity to make big plays,” says Zach Maynard. Oregon State is just not the same without Jaquizz Rodgers. The Bears come into this game with a 4 game winning streak and an AP Top 25 ranking. All the Cal fans know the pain that the Beavers have caused them in the past few years and are absolutely fired up for the game. 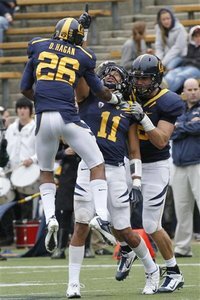 With energy surging throughout AT&T Park, the Cal special teams goes nuts as they are able to complete a kick return, force two fumbles, and contain Oregon State’s James Rodgers to barely any return yards. The Cal’s defense is solid once again, as they are able to contain QB Ryan Katz, while at the same time making sure James Rodgers is contained at all times. Oregon State is not able to develop a running game, while on the other hand Cal is easily able to as Isi breaks loose on almost every play, including a huge 80 yard touchdown run. Final score 32-10 Cal. “Our defense have been very solid the past few games and they showed up again today,” says Cal defensive coordinator Clancy Pendergast. This is one of the biggest Big Games ever in quite a while. Stanford’s only loss of the season is to Oregon and they still have a chance to make a BCS bowl if they beat Cal. The first three quarters are a nail biter as both teams exchange leads. Andrew Luck is as good as always as he is able to connect with Chris Owusu on multiple occasions. 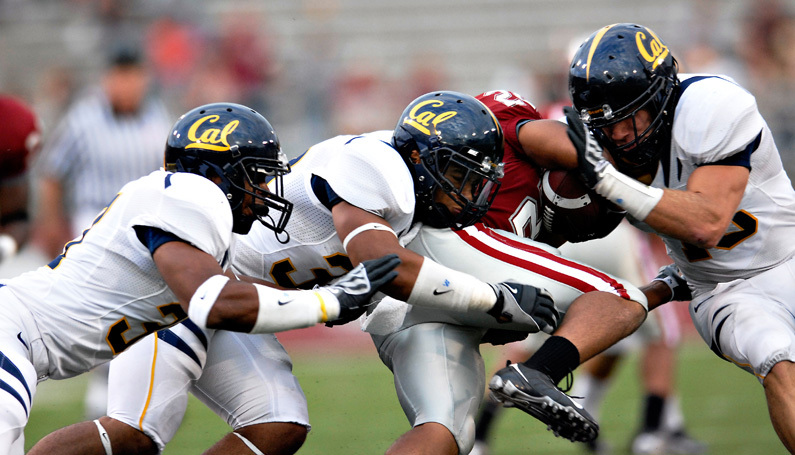 Even though the Cal secondary struggles against Stanford’s passing attack, Cal’s defensive line is able to hold any running attack, limiting what Stanford can do on offense. Cal’s running game also struggles as the offensive line are met with many aggressive attacks and struggle to open up holes for the running backs. However, Zach Maynard’s athleticism keeps Cal neck to neck with Stanford as he is able to make plays on the run to his brother Keenan Allen and TE Anthony Miller. As the fourth quarter runs down with only a couple minutes left, the game is tied 24-24. Stanford is able to push the offense all the way to Cal’s 40 yard line. However, Clancy Pendergast decides to go for a safety blitz, sending in Sean Cattouse. Andrew Luck does not see Cattouse coming as he is concerned about the pressure coming from outside linebacker David Wilkerson, allowing Cattouse to make a crushing tackle on Luck forcing a fumble. DL Trevor Guyton is able to recover the fumble, allowing Cal’s offense to take possession with only a minute left in the game. Stanford’s defense holds strong but Zach Maynard is still able to connect to TE Spencer Hagan on a couple drives allowing Cal is get to Stanford’s 40 yard line. With only moments left in the game, Marvin Jones goes on a reverse then tosses the ball to Keenan Allen for a double reverse, and then Allen slows down behind the line of scrimmage to throw the ball down to a wide open Zach Maynard for the game winning touchdown! Cal fans rush the field as they take back the Axe. “Revenge never felt so good,” says Sean Cattouse. 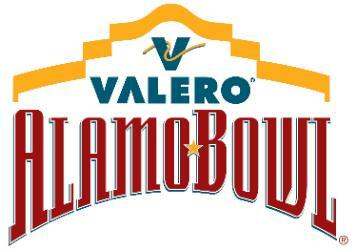 If Arizona State can beat Cal, they will qualify for the Pac-12 Championship, while for Cal a win would mean a trip to the Alamo Bowl instead of a much lower paying one. 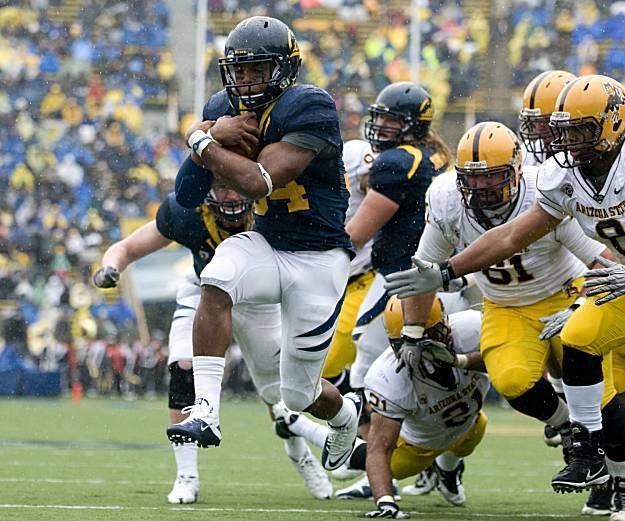 Arizona State still remembers the throttling that the Bears gave them last season and they are out for revenge. However, the first half is filled with mistakes on both sides as neither team can get anything going. The half-time score is 10-10. However, in the third quarter Arizona State’s QB Brock Osweiler is able to make a few big plays giving the Sun Devils a 10 point lead going into the fourth quarter. With the score at 20-10 ASU, the Cal defense is able to step it up again forcing bad mistakes and stopping the run. With only five minutes left in the game, Cal’s offense is able to create a couple quick scores with the help of the defense forcing key three and outs on the Sun Devils. As the Bears and the Sun Devils battle it out with only a minute to go, the score is tied at 20-20. Cal has the chance to create something on the final possession with only 10 seconds left in the game. Maynard connects with Isi on a wheel route, with only 3 seconds left in the game, but only reaching the Sun Devil’s 38 yard line. Tedford decides to bring in Georgio for a possible game-winning 48 yard field goal. The Sun Devil Stadium is extremely loud with noise as Georgio sets up for his kick. 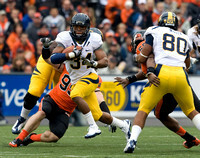 Georgio is able to get a solid kick on the ball and easily makes it between the uprights, winning the game for Cal. The team rushes the field as they celebrate a great regular season. “Pressure? What pressure?” says Georgio Tavecchio as he was asked how he handled the pressure. Cal picks up a Top 10 recruiting class. Bryan Anger, Mitchell Schwartz, and Mychal Kendricks are All-American. Half the team is on the All-Pac 12 first, second, or third team. Categories: 2011 Season Preview | Permalink.